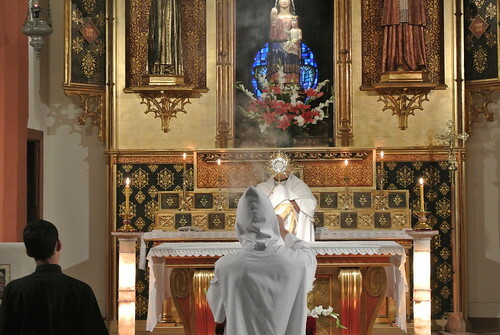 “In likeness to the Word, who chose to live in the silence of Nazareth for thirty years, some of our members consecrate themselves to Him in the contemplative state. They want to dedicate themselves to the “only necessary thing; they have chosen the better part” (Cf. Lk 10, 38-42). The contemplative life constitutes one of the fundamental structures of the Holy Church. It has been present in all the phases of its history during two millennia – always fertile in solid virtues, always endowed with a mysterious and powerful attractiveness to the highest and most noble souls. 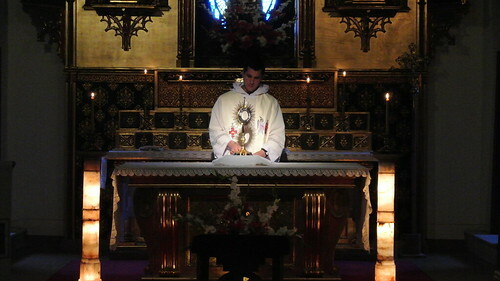 Therefore, contemplatives are in the vanguard of all of the Institute’s apostolic works, since with their life of prayer and penance they obtain from the Lord the necessary graces for the salvation of many souls: “Institutes of contemplative life, by their prayers and trials are of the greatest importance in the conversion of souls since it is in answer to prayer that God sends workers into his harvest, opens the minds of non-Christians to hear the Gospel, and makes fruitful the word of salvation in their hearts”(“Ad gentes divinitus”, 40). “Our monasteries of contemplative life should be magnets of the grace of God and the lightning rods for His wrath. God willing, we will be able to multiply them all over the world! ‘The Church and the world… need… a small ideal society where as a goal all the following reign: love, obedience, innocence, freedom from things and the art of their good use, the prevalence of the spirit, peace, - in a word - the Gospel’” (Directory of Spirituality, 26). Currently, the IVE has six monasteries in: San Rafael (Argentina), Italy, Spain (2), Israel and Tunisia. Soon, we will open a monastery in Jordan in the place of the Baptism of Jesus. 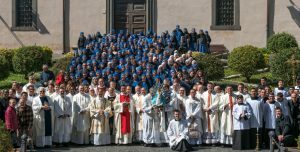 The SSVM has monasteries in Argentina, Peru, United States, Holland, Italy (2), and Spain. 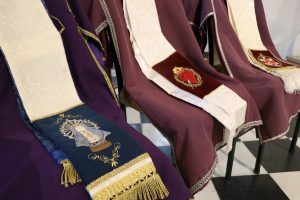 Soon they will open a second monastery in Spain, another in Luxembourg, and another in the place of the Baptism of Jesus, in Jordan.Each one of our monasteries has been assigned a particular intention for which its members offer their prayers and sacrifices.